Darkness falls on Oberndorf Austria on December 24, 1818. The parish choir master, Franz Gruber, has spent the afternoon setting a poem, written by his friend, Joseph Mohr, to a tune which will be played on guitar that evening due to the untimely breakdown of the church organ. It is Christmas Eve and soon the parishioners will gather in the chapel to celebrate the birth of Jesus. Candles will fill the chapel with a warm glow and voices will sing for the first time a tune that will become the most famous Christmas hymn of all time. The darkness may fall, but it will not overcome the light. A single candle produces one unit of light. At one time the intensity of light was measured by this tiny beam. But one single beam of light can brighten the darkest of corners in an otherwise dreary room. Darkness my seem cold, but light is a welcome without words. The parishioners of St. Nicholas Church may not have been aware of the choir master's predicament when the organ broke that fateful day. Nor did they know of the inspired toil that took place that afternoon as Joseph Mohr's poem was turned into music. But they were blessed that evening twofold as the choir master lifted his voice in song and they rejoiced in the birth of their Savior. Light filled the little church as the notes rang out and the voices joined together, "Silent night, holy night..."
In the winter months, days shorten and darkness descends at an earlier time yet stars shine above and below, a thousand sparkling dots twinkle on the snowy landscape. Together they sing. They rejoice. They reflect the Creator as He said, "Let there be light." The lights of Hanukkah and Christmas also shine into the crisp night. Together they sing. They rejoice. 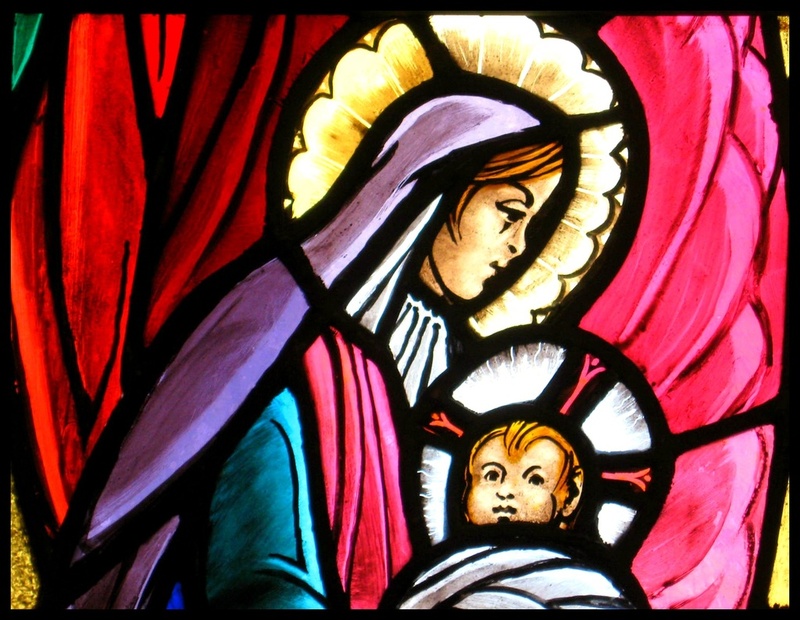 For when the world was lost in darkness, the Lord sent forth His Light, born of a woman, to enlighten all people. His Light shines in the darkness and the darkness cannot over power it. Some of my favorite Christmas memories circle around this hymn. Our church would hold two Christmas Eve services. The earlier service was always designed with children in mind. Favorite Christmas carols which were geared toward children, like Away in A Manger, were sung and a short homily which was based on the Christmas story was given. But the later service which began at 11 p.m. was filled with more reverence and anticipation. That service was always concluded with the lighting of candles while we sang Silent Night. At midnight when the candles were lit and the Christ candle was burning at the center of the Advent wreath, the pastor would proclaim the Good News that Christ was born and we would lift up our candles and sing Joy to the World. It always, without fail, brought tears to my eyes, for the sight of all those candles lifted up, and the vibrant sound of our pipe organ filling the sanctuary was so beautiful it filled me with an overwhelming joy. Jesus Lord at Thy birth; Jesus Lord at Thy birth. This is a detail of our beautiful Nativity window. My thanks to each of you!! I count each and every one of you a gift God has given me this year. It's a busy day of catching up with family on the phone and visiting with dear friends. So I'm uploading and heading out but I promise to get back to 365 asap!! @sangwann Thank you so much for the fav Dione!! Beautiful image. I hope you and your family had a wonderful Christmas! Thank you Donald, Kathryn, and Carole! We had a nice day talking on the phone and dinner with friends. Wishing you a great new year! Hope you and yours had a very Merry Christmas, Ann! I always love the story of how Silent Night came to be. @archaeofrog Thank you Katie! We did- and on Monday some of the grands arrive, so Christmas is coming again! wonderful writing, ann. and it brought back memories of one Christmas eve back in the old country. a church filled with people and before the start of mass, a man, part of the church's choir, carried a stool and a guitar to the front and started to play and sing "silent night". i had always thought it was best sung by a choir, but that man changed my thinking. it was indeed magical to hear it with a guitar accompaniment. @gratefulness Thank you Sandi! And thank you so much for the fav! I think this is probably one of my more favorite pieces I've written. @summerfield Thank you Vikki! I do think this is one of my favorites. That Christmas sounds so nice! This piece had originally been part of a Christmas eve service and as I read it Jeff was playing Silent Night on his guitar. It was probably very similar in sound to your Christmas long ago. Fun to imagine it in its original context when you can hear it in the present that way. Nice shot, Ann! Love the stained glass. I hope you had a very happy Christmas and have a great new year. @prttblues Thanks Bev! It was a quiet holiday spent with friends in the afternoon. The real Christmas comes tomorrow when the grand children come!